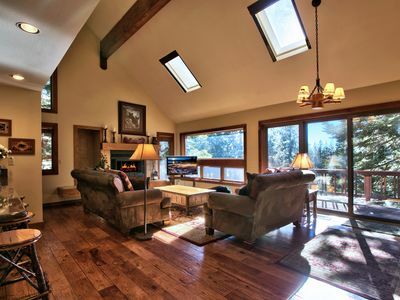 Experience the serenity & beauty of Tahoe from this inviting 3564 square foot, alpine style chalet nestled in nature. 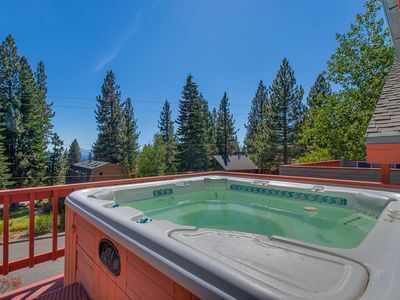 Enjoy majestic sunrises and moon rises over top of the Toiyabe National Forest as you sit on your deck or in your living room right across from Diamond Peak Ski Resort. 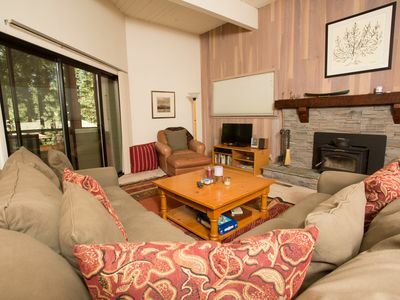 This is the perfect location for friends and family who are looking for easy access to ski and snowboard, hike, a retreat in to peace and quiet or all of the above! 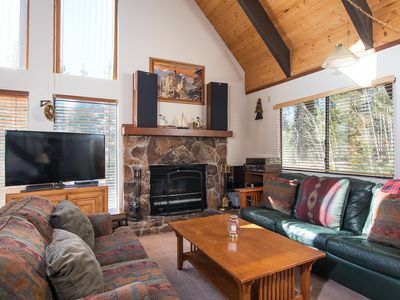 This warm and friendly chalet provides plenty of space upstairs in the open living area to visit, eat and relax. 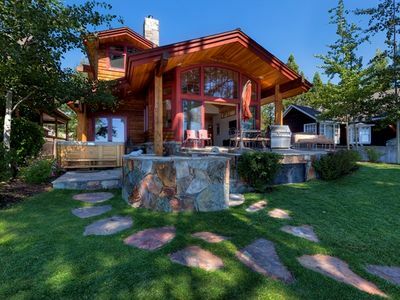 The wrap around deck adds extra entertaining space during the warm months. This three level chalet offers plenty of privacy downstairs with the second level offering a master with en-suite jacuzzi bath and dual sinks as well as 2 additional guest rooms and guest bath.The bottom floor has a large master as well as a bunk room which share a spa bathroom including deep jacuzzi tub with views and a double steam/showeralong with his and her sinks. This is a great arrangement for famiies with babies or youngsters to have a space of their own. 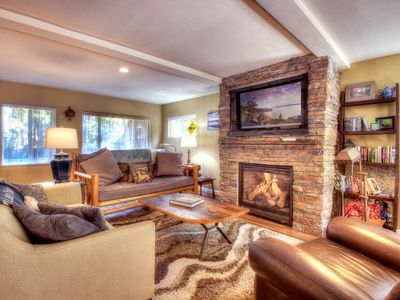 Back up stairs .... A toasty fire in the gas fireplace is just the thing for those chilly mornings or evenings. 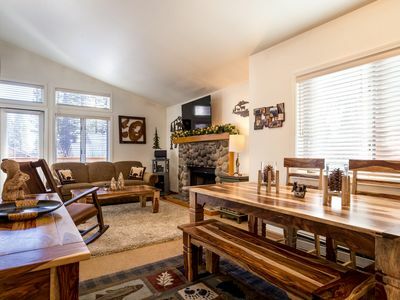 This recently updated chalet has lovely contemporary furnishings, flooring and paint pallete, pretty granite counters and entertaining bar to host friends or family. The big screen HD TV is great for movie night or sports shows. 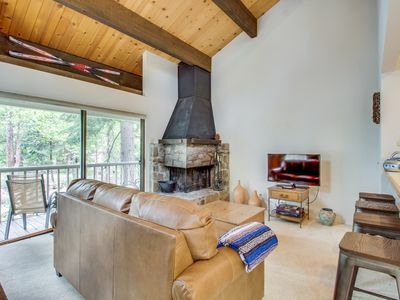 Delight in all the natural beauty, flora and fauna as well as views of the ski area from the great room, upper deck and also from the two lower decks located off of the master and second master bedroom and bunk room. 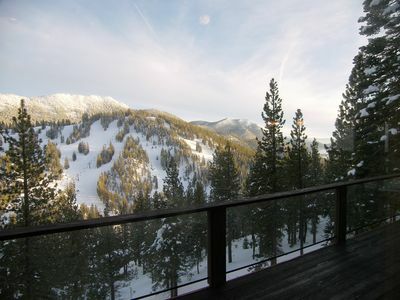 Walk out your front door and arrive at a trail head or the ski area in a few minutes. Just down the road is a four star restaurant with stunning lake views and 5 minutes driving is Incline Beach, both of our world class golf courses, Incline recreation center as well as Hyatt Regency and other eateries and shopping. You couldn't pick a more perfect spot for your next vacation and every vacation. 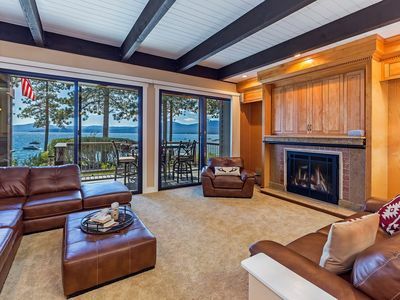 Stunning Lakefront Home - Sandy Beach w/Hot Tub, Media Screen, Pool Table!! 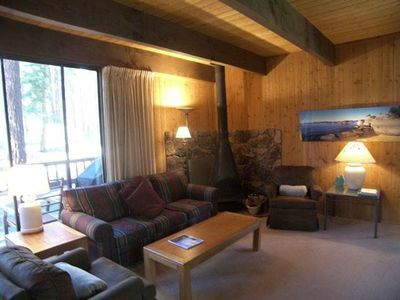 Comfy condo w/ shared pool, tennis - walk to town & Lake Tahoe, close to slopes!